There are several reasons why Poland could be an interesting place to retire. Among those are its low cost of living, beautiful cities and towns, and a relaxed style of living. Let's talk a little bit about Polish retirements. Political environment. The political atmosphere is difficult and the democracy seems fragile in the face of a populist leader. The current president has curtailed the judiciary as well as the free press, and is staunchly anti/immigrant. Poland is a relatively new democracy so most of the citizens are hopeful for the future. Health care in Poland is not free and is delivered through a publicly funded health care system called the National Health Fund (in Polish: Narodowy Fundusz Zdrowia), which is free for all the citizens of Poland provided they fall into the "insured" category (usually meaning it is paid for by their employer). Private insurance is plentiful. Cost of Living. You can maintain an excellent lifestyle at greatly reduced cost. One figure shows the cost of an urban 1 bedroom apartment to be about 2500 PLN, about $700/month. A really great meal at a city restaurant with wine and beer can be had for 120PLN or $35. 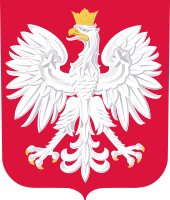 If you speak Polish, are descended from a Pole, or have resided in the country for several years you can probably become a legal resident or even a citizen. According to the NomadCapitalist.com, "Polish citizenship by naturalization can be obtained by legally residing in Poland as a permanent resident for three years if you speak Polish. Otherwise, you need to be legally resident for the last ten years and currently have permanent resident status. Here is where you can get more details on how to become a resident or citizen of Poland. Airports and transportation. Warsaw and Kracow have modern new airports with connections to Europe and the rest of the word. Major railroad routes run through the country with fast and dependable trains. Cities have trams and buses with a good system of mass transit. Biking is encouraged. Taxation. Poland has a progressive income tax. For incomes over 85,000 PLN (zloti) the rate is 32%. There is also a substantial Social Security and pension tax. Where to Live. Warsaw, a huge city, is the capital. Kracow is smaller and more charming, often named one of the worlds top undiscovered cities. and one choice. Wroclaw and Gdansk are two other large cities. Medieval cities with great charm include Kazmierz Dolny, Sandomieriz, and others. Climate and geography. Poland is in northern Europe with a fairly cold climate. Temperatures are low in summer and generally mild through summer. The average temperatures in Wrocław are 20 °C (68 °F) in the summer and 0 °C (32.0 °F) in the winter. The southern part of the country is somewhat warmer, except in the mountains. Most of Poland's geography is flat, but the southern portion of the country shares the Tatra mountains with the Czech Republic. Poland has a small coastline on the Baltic Sea. Germany is to the west, Hungary to the south, and former parts of USSR like Latvia and Estonia to the east. Security and Crime. The country is one of the safest in Europe. According to the current U.S. Department of State Travel Advisory, Poland has been assessed as Level 1: Exercise normal precautions. Petty crimes like bicycle thefts are reported as common in cities like Kracow, as are pickpockets.